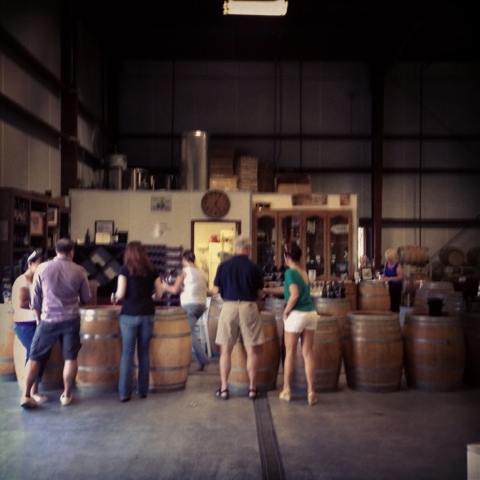 As we mentioned in a previous post, the number of tasting rooms in the area seemed conquerable in just a couple hard working visits. We were wrong! An area with a lot of history that dates back way further than most would imagine. 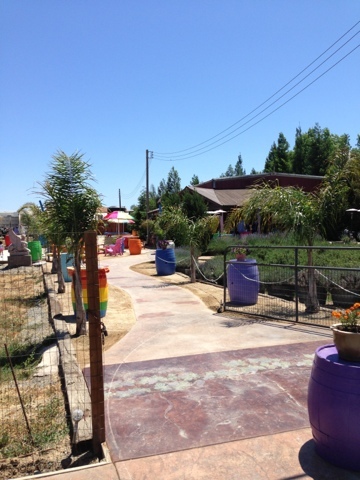 This is an area that is easy to fall in love with, and with each visit and new place we stop at, this is just reaffirmed. Kirigin Cellars; Kirigin Cellars is old! How old you ask? It was founded in 1916, making it one of California's oldest. 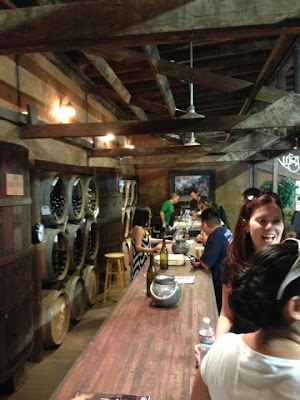 They have two tasting areas and we chose to go to the one set inside the barrel room. Made of old large format barrels it's a bit like taking a trip back in time (in a good way) with all the old barrel wood and decorations. 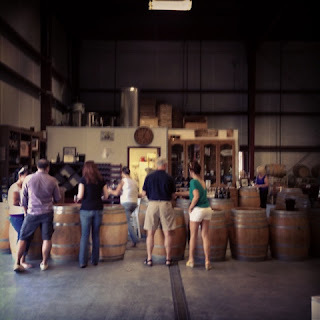 Standing there tasting in this environment was a real treat, with the barrels just a few feet away in the cool of the room where it all happens. Nice! There is yet another surprise, all the wines are in the **** category making them an excellent value. Even their Vino de Mocca, their famous dessert wine! This unique wine is infused with coffee chocolate & a touch of orange. This is one very unusual wine that they call "The Kissing Wine!" 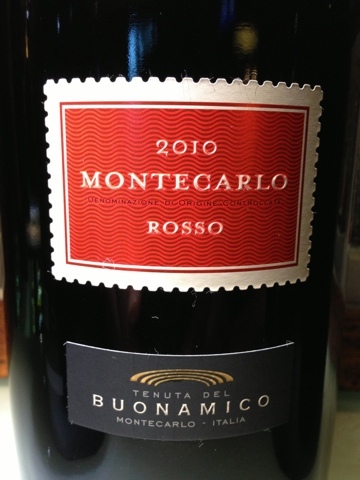 We think aside from an after dinner drink that at Christmas time it would be a fantastic wine to share. 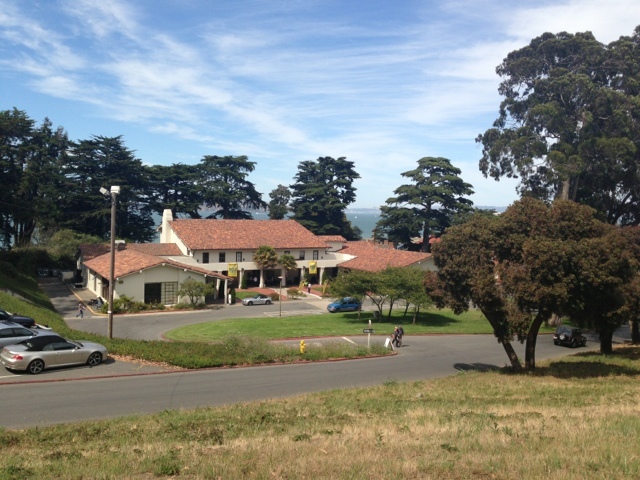 The facilities are quite large and contain spaces for meetings and corporate events as well as large grass open spaces for car shows and dog shows and even cricket! Go by and check all they have to offer. 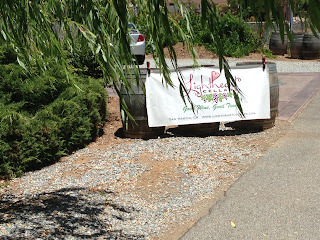 Maybe go taste, buy a bottle and enjoy watching a game of Cricket on June 30th, July 4th, 5th, 21st and 28th. Been a while since Koala has bowled a bouncer in anger! Sarah's Vineyard; Going to Sarah's Vineyard is like visiting your favorite Aunties house. She has a nice comfy inviting house, you love her and she has good stuff (comfort food). 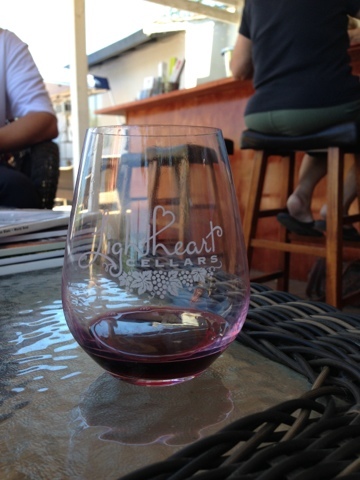 In this case instead of comfort food, it just happens to be good wine. 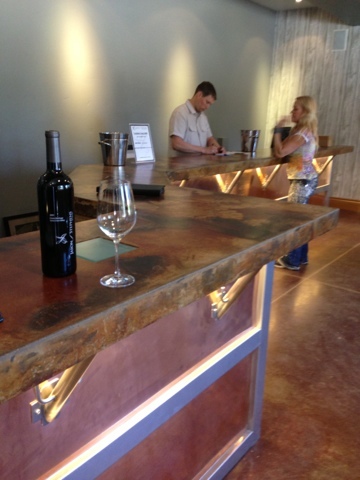 The tasting room has a very comfortable feel and is able to serve quite a number of people. There is a lovely deck to sit out on and a great lawn area as well to enjoy the beautiful weather and that picnic lunch you packed to impress that date you have with you (married couples this applies to you to). By request on a first come first serve they even have bocce ball for those so inclined. 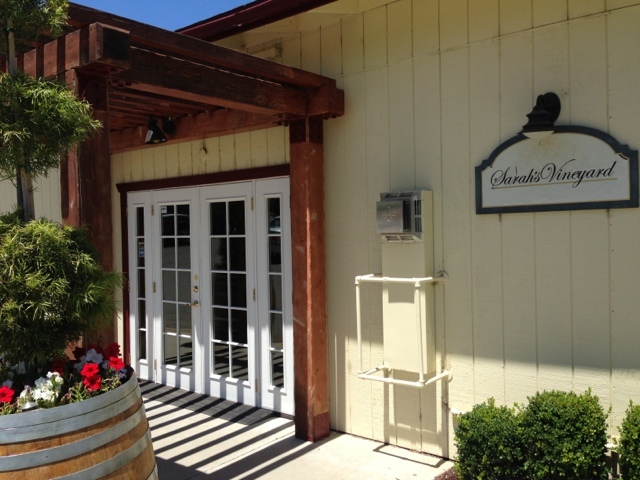 Established in 1978 Sarah's Vineyard has a nice wine list to choose a tasting from. When visiting Sarah’s Vineyard you will find a Grenache vineyard 100 years old less than a mile away, and their Old Vine Zinfandel is made with grapes from gnarled vines planted, back in 1922 just a couple miles down the road. 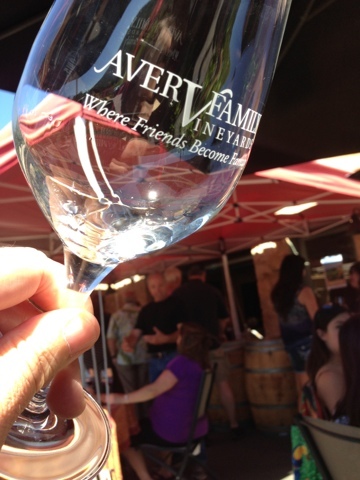 Go on by and experience that favorite Aunts place, you know the one with the tasting room. 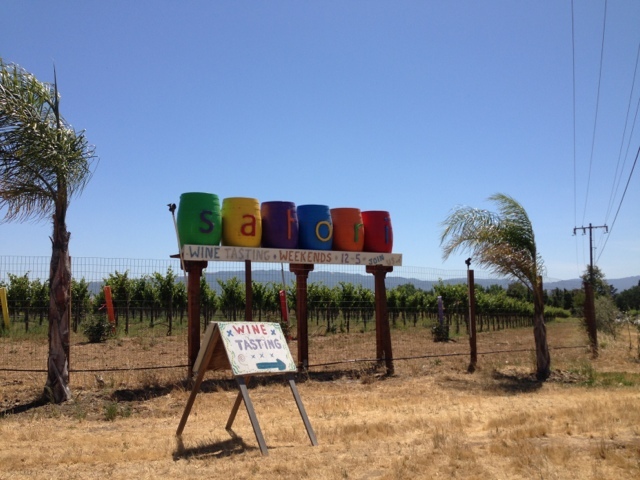 Satori Cellars; Stopping at Satori Cellars is quite an experience. A bit like a cross between something Jimmy Buffet would set up and a Caribbean island bar. A fun friendly colorful arrangement that just puts a smile on your face even before you start on the wine. 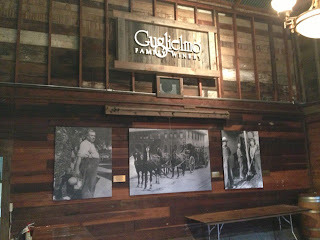 The tasting area as we understand it opened in 2008 and has been making people happy ever since. The name Satori. 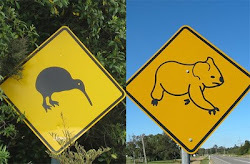 Does it mean anything? 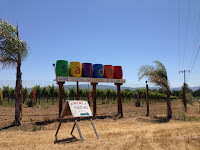 well to quote their website (so as not to screw it up) 'Satori Cellars gets its name from two sources; Sandy, Tom & Riley who own the vineyard and manage the winery and from the Zen Buddhist term meaning “a taste of enlightenment” or “sudden unbidden moments of absolute stillness and peace in which time stops and the perfection and beauty of creation shine forth”. Tasting started with some lovely bubbles, a Chardonnay and through some light, medium and bold reds. Some very nice wines! Sitting in the colorful bohemian setting, enjoying the wine and listening to an eclectic selection of music, was a great way to while away a couple hours. Next visit we will take our time. Go take it all in for yourself and see what a weekend almost island holiday is like. 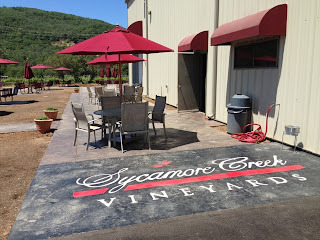 The history of the area is again at the forefront with Sycamore Creek Vineyards, as the winery property was originally known as the Marchetti Ranch, a pre-prohibition family vineyard and winery established at the turn of the 20th century. In 1975, the property was purchased by Terry and Mary Kay Parks, both former school teachers, who renamed the property Sycamore Creek after the small stream that bisects the vineyard. It is now owned by Bill and Carolyn Holt of Morgan Hill who in July of 2005, purchased Sycamore Creek Vineyards. 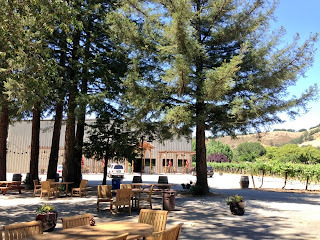 The tasting room is set up in the working winery on a series of wine barrels and a couple tables with chairs for those who wish to sit. It is a very nice way to taste with the barrels and the stainless steel tanks right there. 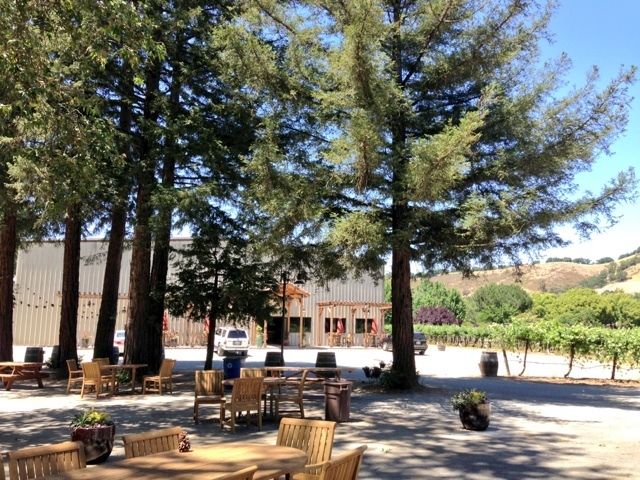 There is also a just recently completed out door patio with picnic tables, chairs and umbrellas set up for your picnic and tasting pleasure. 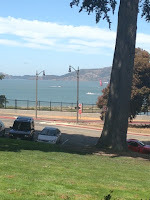 Sitting out under the shade of the umbrellas on a nice day would be a great way to spend an afternoon. A nice selection of wine to taste and we took a 2008 Syrah Santa Clara Valley, to dinner with us one night. 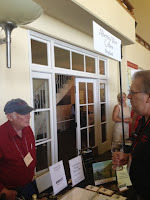 The 2012 Blanc De Rouge Santa Clara Valley, blush was just recently a WW. We purchased a couple bottles and found they do not last. Drank the first one while watching the sunset on Carmel beach the same day we bought it and the second one the next day at a friends BBQ. Go by and discover what these wineries have to offer, we 'recommend' you do! 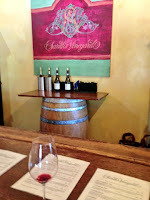 A Taste of Mendocino was to be a great way for us to get a handle on this somewhat lesser known (for us at least) wine region. Hosted by Mendocino Winegrowers, Inc. and Visit Mendocino County, at the lovely San Francisco's Golden Gate Club in the beautiful Presidio. The first part of the event was exclusive to qualified, credentialed trade and media, and they let us in anyway (thanks)! It sure was a beautiful day, and tasting wine overlooking San Francisco Bay while the Fly Emirates Team New Zealand AC45 was out sailing was just an added bonus. 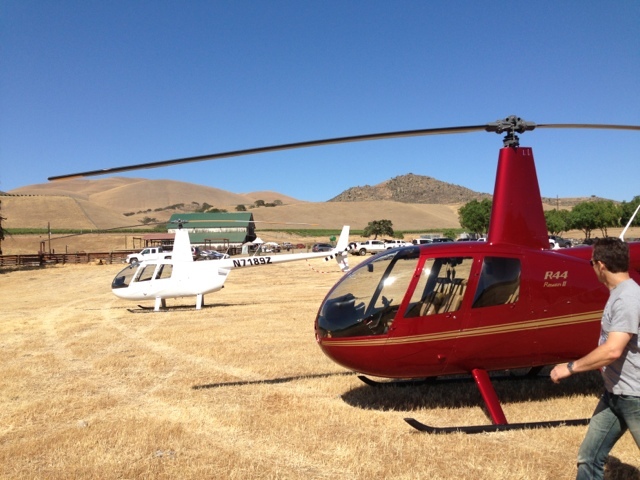 The Mendocino region as mentioned earlier, is one that was somewhat unfamiliar to us, and this was the ideal event to get us up to speed and find out if an Adventure is in order. The event seemed well organized with a quick check in, ID badges and a bag of regional information flyers to get you started off inside to get your glass. Once inside there were about 30 wineries pouring their wines and a great small sandwich / panini and crisps plate being served all afternoon. 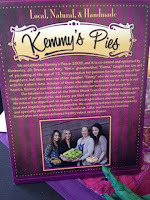 There was also some great fudge tasting as well as a couple of pie samples to be enjoyed as a break from all the wines. 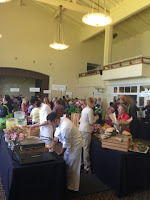 This was some of the best food at a tasting in a while. One minor note though, leave out the raw red onions in food from any wine event (messes with the tasting process). We did really enjoy the food! 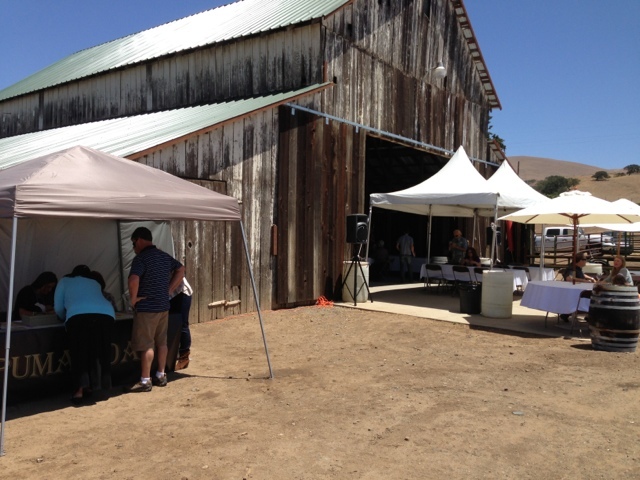 Wandering around and talking and tasting was relatively easy, and most vendors had someone with intimate knowledge of the wines or vineyards which really is good. There were a lot of very nice wines and most have very good price points well inside the **** range which makes this area one of interest for a future Adventure. 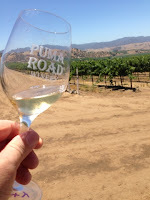 While we try to figure out when an Adventure may happen, the following wineries are just one's that either had wines that were of a price / taste balance that caught our attention, and or we had a nice time chatting and learning about them and the area. If you make it up there before we do, maybe let us know if you stop by any of these, or for that matter any in the area. The first one we spent some time at was Albertina Wine Cellars, where we enjoyed talking with Fred for quite a while. 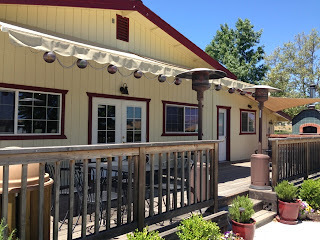 The next one that comes to mind (and some notes) that we enjoyed was Brutocao Cellars, where we had some laughs with Aaron. Baxter was another of the memorable stops where we talked interesting wine stuff with Phil and talked about their property. We also spent a fair amount of time chatting with Paul with Parducci, while tasting his wine. Last but certainly not least was the guy with the best spot in the place. 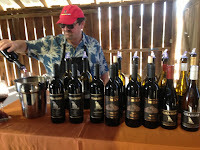 Gary with Kimmel Vineyards, was positioned right between the Fudge and the pie vendors. The wine was good as well! 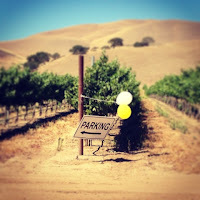 The event has definitely put the area on the map for us, and there were many other worthy wines tasted there, so rest assured there will be an Adventure in the works as soon as we can get our s___ (censor edit) together. Wine tasting in Santa Clara Valley? Yes, you read that correctly. 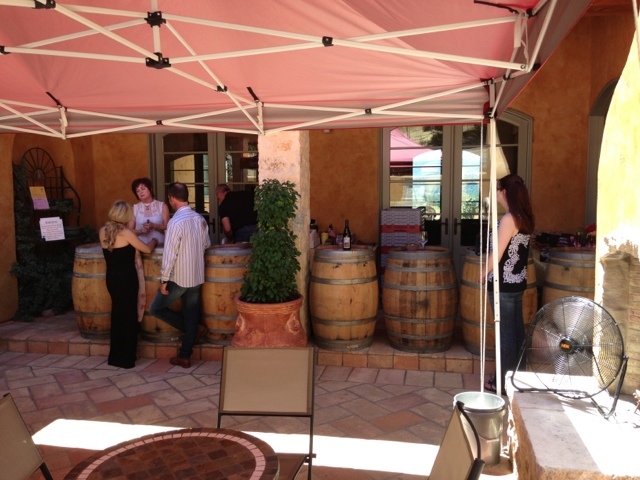 One of the best kept wine tasting secrets we know of. Ok, so we didn't know of it really till recently, but now we do and you should too! South of San Jose and situated in an area that is bordered on one side by the Santa Cruz Mountains and on the other by the Diablo Range, Santa Clara Valley has a very Mediterranean climate that lends itself perfectly to the craft that is viticulture. 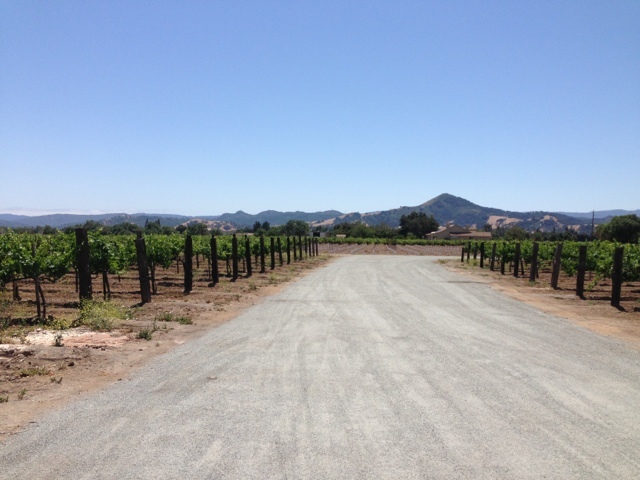 The grape vines in the AVA love the temperature difference that occurs with warm days and cool to cold evenings. This area has the type of climate and topography, that with some thoughtful site selection, allows you successfully grow almost any variety of vine you wish. After tasting a number of area wines from a cross section of the wineries, it was apparent that there were some quality wines here that a lot of people need to know about. 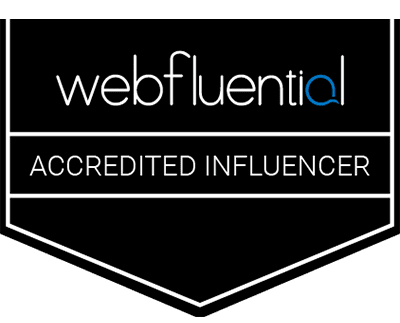 Looking into the area wines and finding that they are collecting an amazing number of credible accolades, did not come as a surprise. 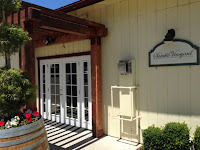 With over twenty two member wineries there are a plethora of delightful tasting choices from the small family setup that offers tastings on the back patio, to some larger operations with picnic areas, banquet rooms and or wedding facilities. With many Gold and Double Gold medals as well as so many other awards among them there is solid validation of the tastings had so far. We are looking forward to doing them all! Yep, you read that correctly! 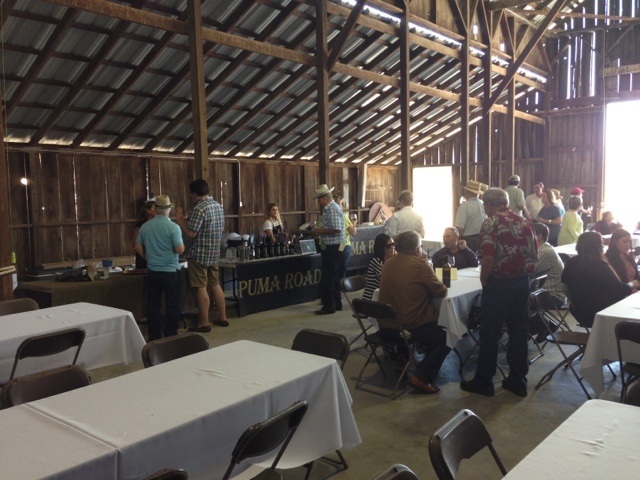 Tasting from every one of the members of the Wineries of Santa Clara Valley. We will be dividing up the next stories in to west side of HWY 101 and east side north and south and unless they lock the gates on us, it should be very doable. 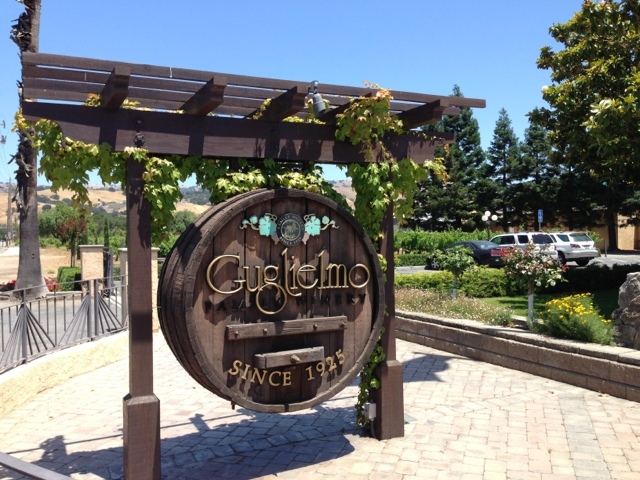 After spending some time talking with Greg Richtarek the VP for the association board at the Guglielmo Winery where he works as the Director of Marketing, and learning a little about the area and the history we can't wait to get stuck into it. How come you only learned a little you may ask, well information retention is not a strength and as there is a ton of info on their website, rather than just restate it, go to their website. 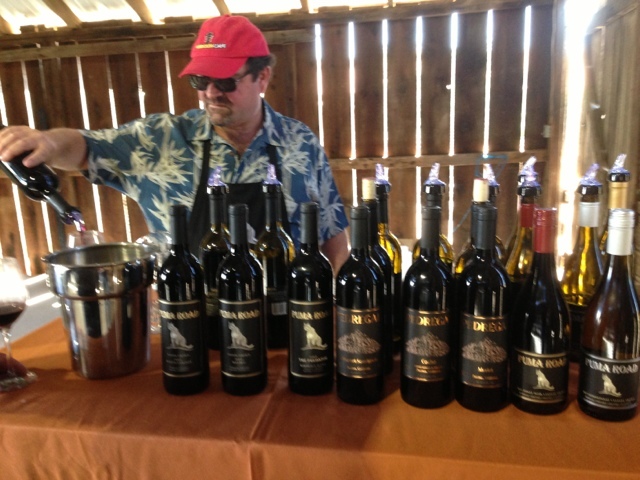 featuring: 22 award winning wineries from the Santa Clara Valley AVA, and over a dozen premier restaurants from throughout the region. When is it? 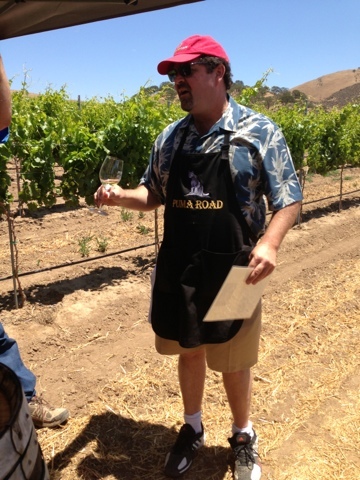 There is also the Santa Clara Valley Passport Weekend -- Save the Date! October 5th and 6th, $30 per person. Winery Tours - Special Discounts - New Releases - Music - AND GREAT WINES!! We, or at least one of us, will be attending this event to check it out as this should be a great time, and we hope to see you there! Over the next few weeks we will also be visiting the member wineries and compiling some stories of our Adventures along the way. You have a chance to beat us to em if you hurry. Tell em we sent you and enjoy the Adventure , we 'recommend" you do. Great Video of the Wine Escape. "Il vino rende lieto il cuore"
The Villa, set among olive groves and vineyards was already listed in tax records as far back as 1392 and is the heart of the estate. This property has been in continuous operation since 1694. This historic property is Fattoria di Fubbiano, and is only 15 km from Lucca, 65 km from Florence or 35 km from the Pisa airport and along the Lucca hills, between the villages of Tofori and San Gennaro, an area where wine has been produced since the 14th century. 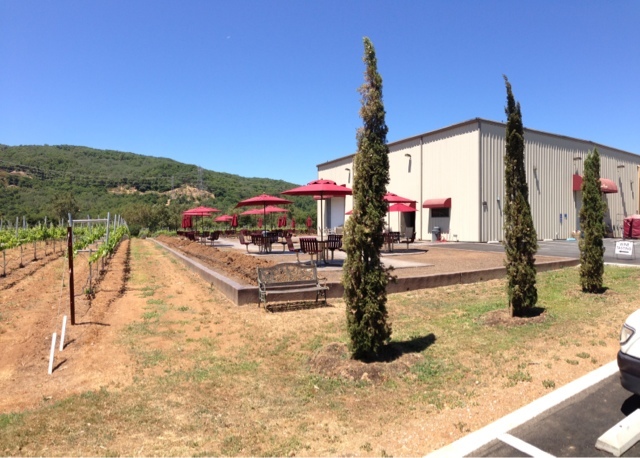 This estate property covers about 45 hectares and they have just finished and started using their new winery building. 20 hectares are used for wine production with an average annual yield of around 100.000 bottles. This new state of the art facility is hidden into a hillside and doubles as a shaded plaza area that can be used for large gatherings. There are discreetly camouflaged openings hidden into the covered area floor, and when the the grape harvest is delivered they are opened and the grapes go through the floor of the plaza which is the roof of the winery. This is just one of a number of things that have been enhanced and about to be enhanced on this property. 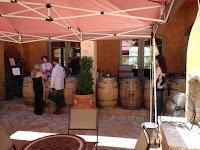 With the new winery area up and running the barrels were all relocated there and that made for a vacated space that is now set up for lots of smaller group tastings or a very large event. The room was just fantastic. The Villa is currently being restored and will be used as a B&B once complete. We would be lying if we said we did not want to come back and stay. It was stunning. They have a lot here besides wine and a place to stay, with farm tours and cooking classes, the whole Agritourism experience (next time). 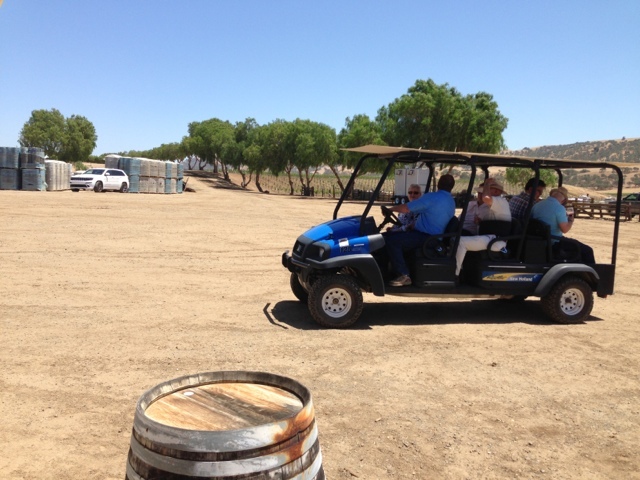 After Chiara gave us a lovely tour of the facilities it was time for us to put our finely tuned palates to work. As fate, luck, or just strange happenstance would have it, we had had a bottle of the hall mark wine from Fattoria di Fabbiano while relaxing at an outdoor restaurant in Lucca just a few days earlier. A bottle of 'First Love'. 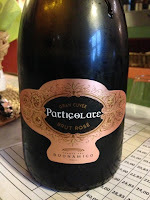 An inexpensive and lovely to drink wine, but also one with significant importance to the owner. 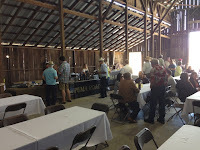 We enjoyed a great tasting of good olive oil and wines, as we broke the one bottle per person rule again. This was to later become a predicament as packing wine bottles into a suitcase has its limits! Big last night in Italy headed our way!